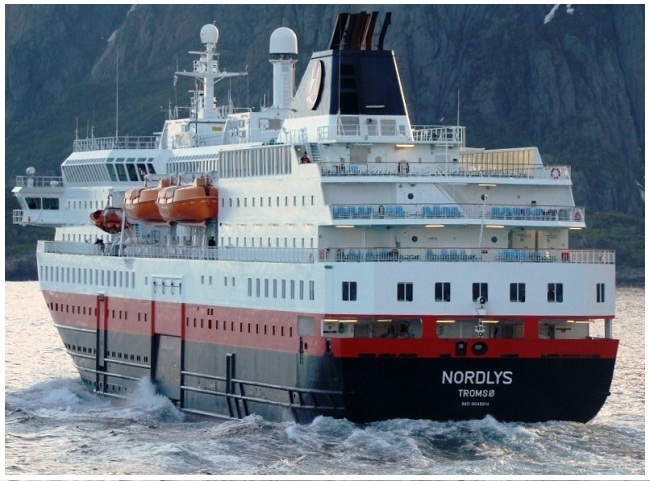 May 2018 Hurtigruten has contracted the Norwegian Fosen Yard for comprehensive upgrades of two of its ships, the Richard With and the Nordlys.The Nordlys goes to the yard in next spring 2019. 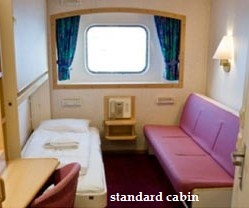 The work will include renovations of all cabins, both for passengers and crew. 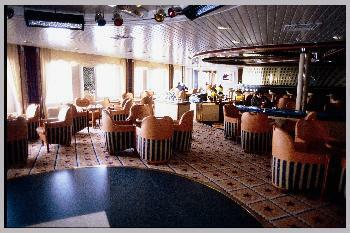 All public areas will be refurbished as well. 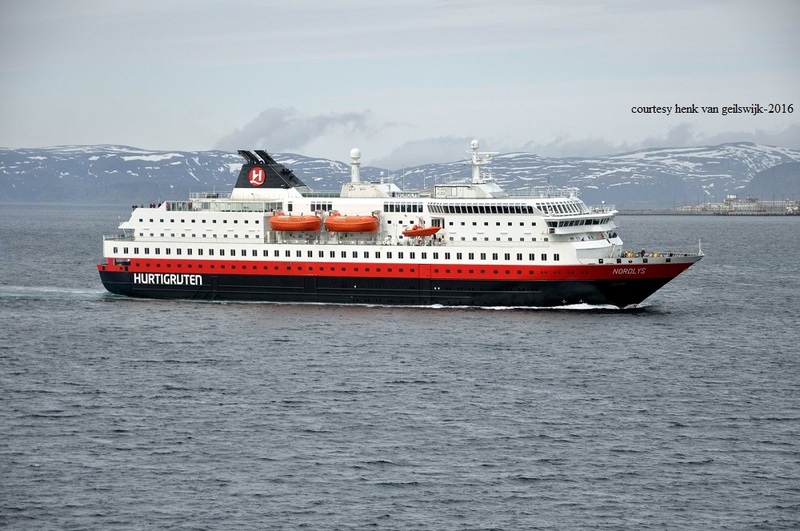 According to a prepared statement this means new restaurants, bars, lounges and outdoor hot tubs.Both ships will continue to serve in Hurtigruten’s coastal service in Norway. 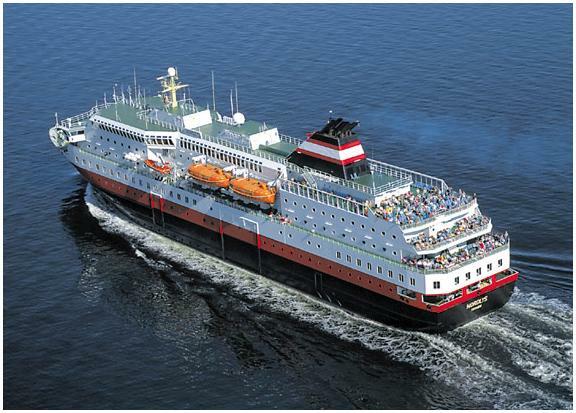 In addition, both ships are slated to be rebuilt for hybrid powerplants running engines on LNG combined with batteries. While a yard for that project has not been announced, that work is slated to be completed before 2021. 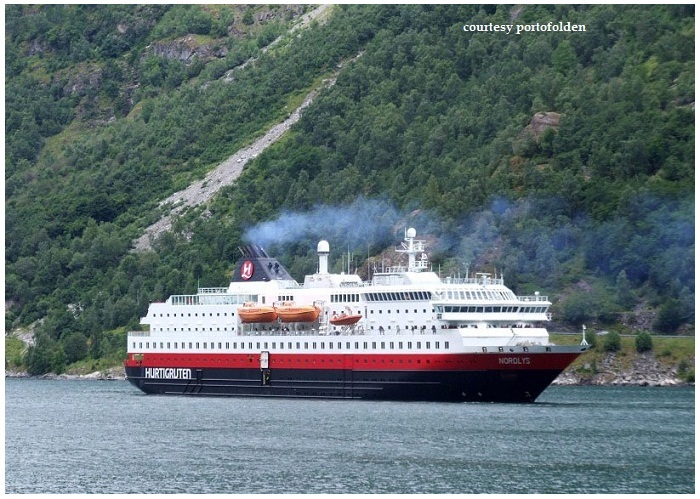 Sept.15-2011 Two crew members have died and two were seriously injured in a fire aboard Hurtigruten’s Nordlys off the coast of Norway nearby Ålesund en route to Kirkeness this morning. Nine persons are injured, including the two with serious burns At this moment it is unclear whether they are crew or passengers. 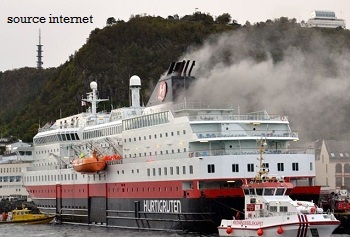 More than 100 passengers were evacuated safely before the ship was towed into port of Ålesund. 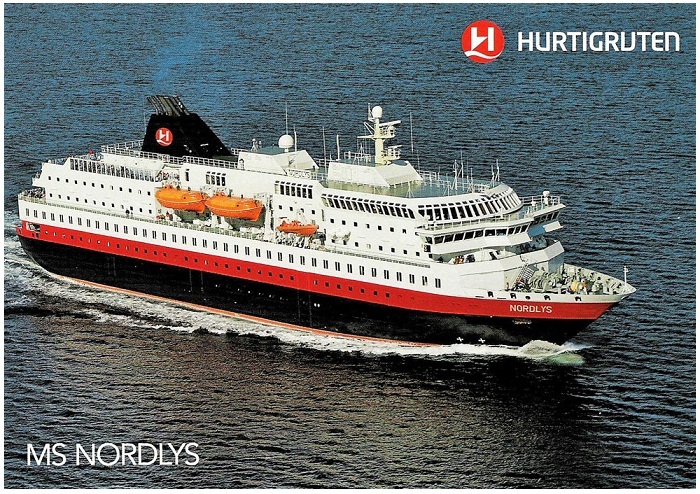 The Nordlys had a total of 262 persons aboard, including 207 passengers. 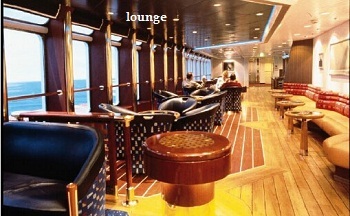 The passengers had various nationalities, the majority of the passengers were Germans. 'It was a well-organised evacuation. The crew did a really good job. Everything went calm and smoothly. There was no panic according a statement of one of the passengers. 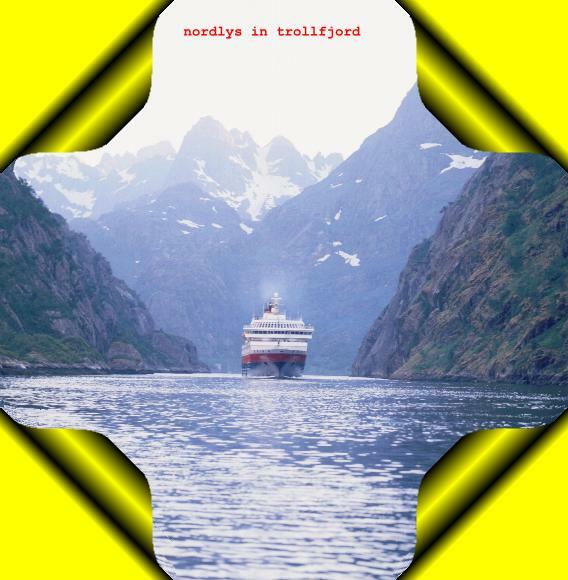 Nordlys was still at risk of capsizing. However Sept.16 Rescue teams have managed to seal a fair number of leaks and she is coming back slowly, with the help of a floating crane. 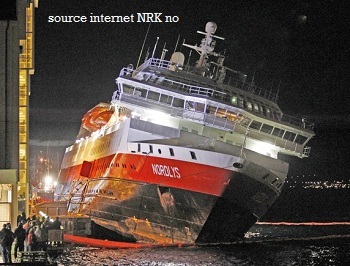 Highly trained salvage crews from the Dutch firm Smit in Rotterdam also were winning praise from many involved in the drama around the Nordlys. 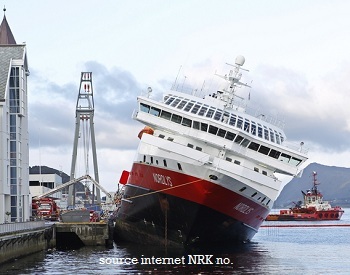 They are credited with preventing the ship from capsizing, and probably saving maritime insurer Gard more than NOK 100 million. Smit’s “salvage master,” “naval architect” and a team of six more persons went on board to carry out critical pumping work when the ship was listing to 22 degrees, placing them firmly among the drama’s heroes. 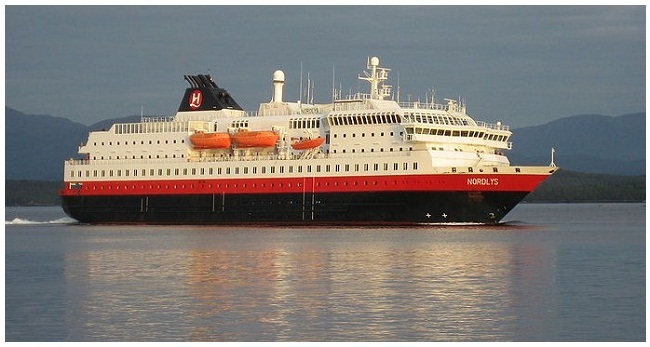 The other vessels with the same motor as the Nordlys include its sisterships Kong Harald and Richard With, along with the Nordkapp and Nordnorge. 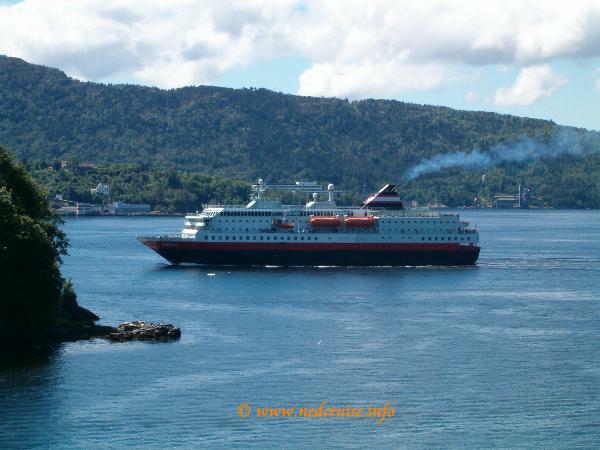 Sept.24 The Norwegian authorities are being urged to conduct immediate safety surveys on two sisterships. 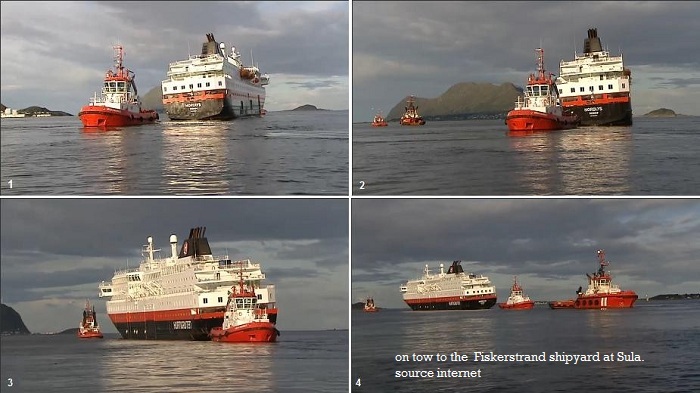 The Skaggerak Foundation says there is sufficient evidence to suspect that the Richard With and Kong Harald may suffer from the same problems as the Nordlys. 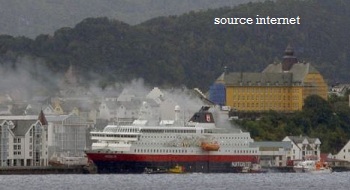 The foundation has sent an open letter to the Norwegian authorities saying that there should be an investigation into the watertight compartments behind the stabiliser fins, the reason why an emergency generator did not automatically start, and how the CO2 fire extinguishing system may have been activated while there were still crew in the vicinity of the engine room. Entered service: 1994 - Gross tonnage: 11.204 - Pass. cap. 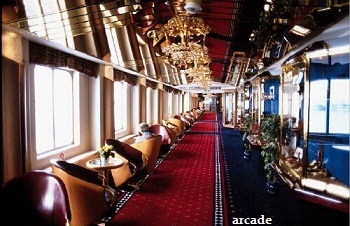 lower beds: 452 - All berths: 482 - Passenger decks: 6 - Length: 121,80 m. - Beam: 19,20 m. - Main propulsion : 2 diesel engines make MAK type 6M552C - 6 cyl. 4 stroke total output 9.000 kW. - 2 Controllable pitch propellers make: KAMEWA - Service speed: 15 knots - Max. speed: 18 knots - Built: Volkswerft Gmbh.- Germany - Yard no. 102 - Classification: DNV/GL- Flag: Norway.